If you want to become a volunteer or if you are a student (mathematics, management, physics, computer science, chemistry, biology, construction, agriculture, English, history, economics,...) who is interested in improving the lives of people living in economically challenged communities in different parts of the world? Please join us as we reach out to the needy people in Liberia. Your contribution could be volunteering to teach in selected schools in various communities in Liberia, donating books, educational supplies or financial contributions. You can participate in the presented projects in Liberia or join our global network. Moreover we appreciate all contacts around the world who share our passion of improving the educational system in Liberia. During your visit in Liberia, you will stay with a host family, get support from our team, receive three meals a day and have the possibility to explore the country in your free time. 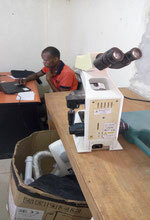 We are constantly trying to minimize costs of our projects and raising funds from donators. Nevertheless there are costs for your journey to Liberia and daily costs which sum up to about $10 per day. The volunteer application form can be found in the right column at the bottom of the page.